Innovate Birmingham is an initiative backed by some of the largest corporations, institutions and organizations in the city working almost exclusively behind the scenes to develop a strategy for the Magic City’s economy. Now, Innovate Birmingham is using Birmingham Innovation Week to roll out its plan for shaping the region to grow and recruit the next generation of jobs. 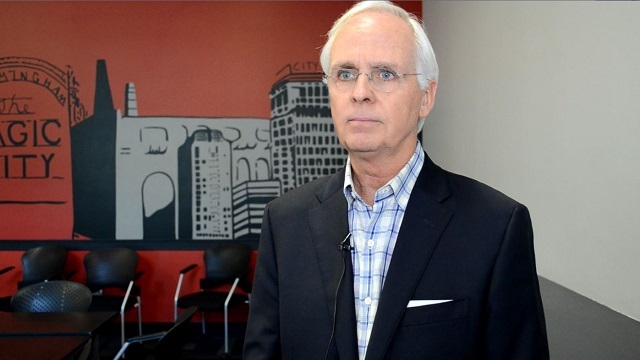 Bob Crutchfield, a longtime venture capitalist and supporter of innovation, is the executive director of Innovate Birmingham. Innovate Birmingham steps forward during Birmingham Innovation Week from Alabama NewsCenter on Vimeo. The BBA is the Birmingham Business Alliance. Other partners in Innovate Birmingham are the Economic Development Partnership of Alabama, the city of Birmingham, Jefferson County, Protective Life, McWane Corporation, Southern Research, BBVA Compass, Innovation Depot, Alabama Capital Network, Birmingham Venture Club, the Birmingham Civil Rights Institute, REV Birmingham, TechBirmingham and Mayer Electric Supply. Initiating a data project to assess commercial adoption opportunities with corporations of $35 million and above in revenue, along with an inventory of all technology companies in Birmingham and the state to segment them for mapping and matching. Working with companies in startup, accelerator and high-growth phases to help with operational strategies, fundraising, strategic planning, mentoring and matching them with others who can help them grow. Working with the Alabama Department of Commerce and others to look at economic development incentives and how they may be directed at startups to help them grow and remain in the state. Launching a real estate initiative to identify and foster places for companies to locate or relocate. Fostering an environment of economic prosperity and inclusion for innovation- and tech-based companies. When Innovate Birmingham was formed, there was talk of establishing an Innovation District around Innovation Depot. Crutchfield said companies that graduate from the business incubation programs at Innovation Depot often locate nearby, but the district itself is not so geographically limited. With UAB, Southern Research, Innovation Depot and other elements, Birmingham is demonstrating its innovation acumen. Crutchfield said there are other ways to measure innovation. “Birmingham has 30 Venture for America fellows, the largest cohort of any city in the country, so that’s very exciting,” he said. Art Tipton, CEO of Southern Research and a fellow in the National Academy of Inventors, noted the innovation of patent-holding fellows who call the Magic City home. Crutchfield said with an environment of institutions aligned unlike Birmingham has had before, Innovate Birmingham is prepared to grow the tech economy. “The timing is now,” he said. 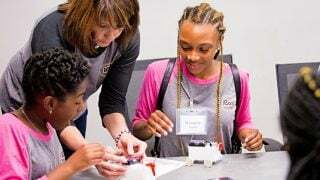 Birmingham Innovation Week events continue through Saturday throughout the Magic City with one of the highlights being the imerge event at the Alabama Theatre on Aug. 23. For a full list of events, visit the Birmingham Innovation Week site.